This one is a little ranty. You've had one, I've had one, your dog has had one, my unborn self has had one, everybody's had one. 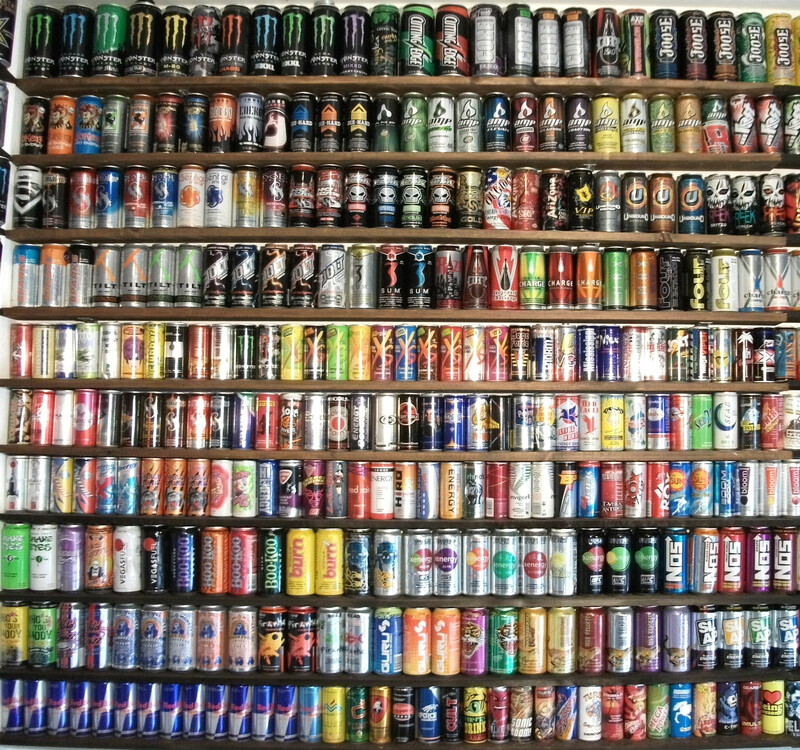 You can't go to a convenience store without seeing an entire fridge filled with energy drinks. Be it your regular Red Bull, Rock Star or Monster with Vitamin 0x10c to replenish the white blood cells lost from doing too many tail whips on your ski-doo or whatever. It almost seems like the energy drink take over happened over night. It's everywhere. Freakin' everywhere. I remember my dad used to drink the OG Thai Red Bull or Krating Daeng when he played soccer and I always used to sneak a sip because the taste reminded me of banana medicine. If he caught me he'd give me crap because I was too young for it. He'd always say "you will never need these until you're an old man like me." Even to this day he still frowns upon me when he sees me drinking a Rock Star with Triumphant Sun Vitamin Milk from the Omega Volta Fruit Berry. "Don't drink that, you're young and it will give you nose bleeds," he would say. He's right in a sense (both the age factor and the nose bleed thing). I'm 21 and from what I'm told, we're in the prime of our lives. Do we really need to shove this stuff down our gullet because we yawned once today? I wouldn't think so. I almost think it's out of control when I see elementary school kids drinking it. Like, what do you need that for? Times tables making you sleepy? Don't be daft, go get some water dude. Just from observing, the majority of people who do drink energy drinks, drink it for the taste. You can't really find carbonated pineapple juice out there, the only way to get that tasty flavour bang is from a can of *insert energy drink brand here*. That being said, would it change anything if, say for example, PepsiCo made Pineapple Soda? Who knows. Maybe not. So as long as energy drinks are an option, it's likely that people will choose the energy drink for whatever reason it may be. But I'm a hypocrite. I find myself drinking energy drinks once in a while when I'm yawning out of control on a gloomy overcast skied Saturday afternoon. I don't need it really, it hardly even works on me. All it makes me do is become jittery; can't focus on anything. Some days I don't want to drink coffee, I want a different flavour of energy. Absolutely do not let me stop you from doing what you want to do, I just wanna raise that point that we don't need to become reliant on things we don't need. But it happens. I like coffee in the morning and I'm a smoker so frankly you can tell me to can it. What do you think boss? You are just abusing your body just to stay up and energetic this is not the key to have that energy you need. take this http://www.best-multivitamins-guide.com always. eat healthy foods and proper exercise.